I have knockout rose bushes growing right outside my house. The roses are untreated, so I thought it would be fun and innovative to use them to create something fun! 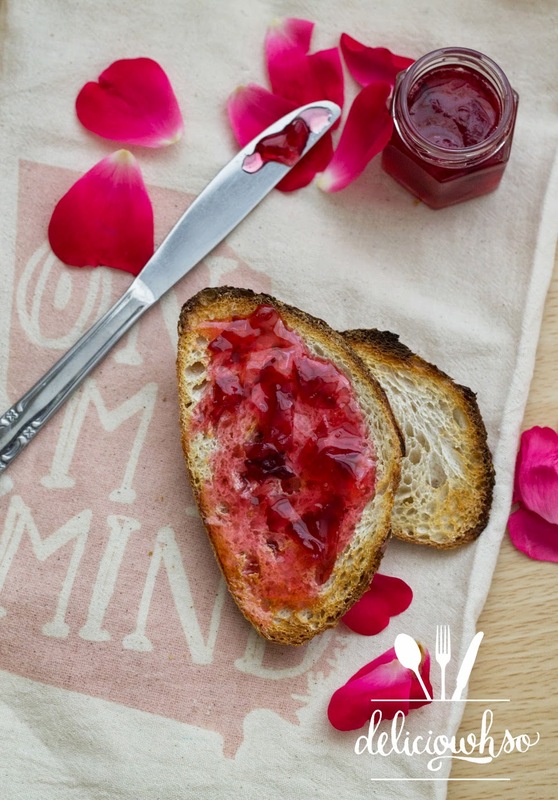 The colors of the petals are a beautiful pink that translates perfectly into jelly. The key to making rose-flavored things is using the most fragrant roses. They tend to carry the flavor better. If you don't have a strong enough flavor, you can always add rosewater for a more floral essence. 1. Prepare untreated, pesticide-free rose petals by plucking them off of the buds, and then using scissors to cut off the white part where the petal was attached.That section is bitter. 2. Mix the sugar and pectin together by gently whisking. Then, bring water, sugar,and petals to a boil. 3. Let the mixture simmer for 5 minutes. The color will seep out of the rose petals, and the mixture will look dull. 4. Add the lemon juice to the mixture and stir. The color should pop once again. You would add rose water to the mixture at this point, if desired. 5. Allow the mixture to thicken slightly. The mixture will start to coagulate. You can test the consistency of the jelly by cooling a drop quickly in the freezer. If it is too loose, add more pectin. If it is too tight, add more water. 7. Allow it to cool to room temperature, and then transfer the jar into the refrigerator. 8. The jelly will last a couple of weeks after opening. 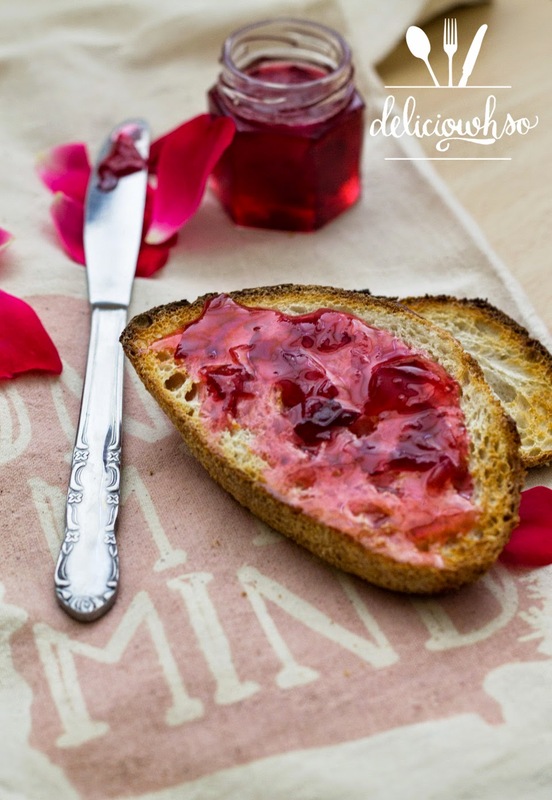 The jelly is a great balance of sweetness and acidity, with floral notes from the rose petals. The petals are a great inclusion, and make the jelly look incredibly unique in the jar. It's something that you wouldn't really find at a grocery store. It's a perfect wake-me-up with some artisan bread and butter!